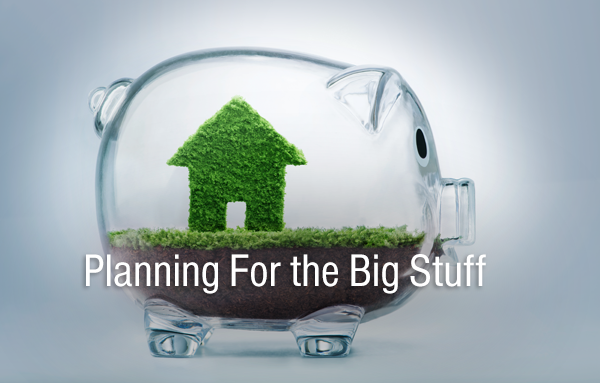 If a big-ticket purchase is in your future, it’s time to start putting money away today! While paying for items in cash is always your best bet, sometimes that’s just not feasible. In these instances, the best thing is to start saving wisely so you can put as much down upfront as you can. Follow these steps to make saving for your next big purchase as painless as possible. Whether you’re hoping to purchase a house, car or just a new appliance, you need to know your base price. While prices vary and even fluctuate over time, it’s a good idea to have a general idea of how much money you will need. How much time are you giving yourself to save for this item? The more time you allow, the easier it will be save money or even rebuild your credit rating. On the other hand, if you’re pressed for time, you will have to start putting aside funds immediately – and putting aside more. If you don’t currently have a household budget, it’s time to create one. Doing so will help you see exactly how much money you have coming in, how much you spend each month, and how much you can stand to save. Use this guide to help you set up your budget. You may already have a bank account, but we recommend opening a separate savings account solely for your large purchase – one that you keep separate from your daily expenses and that you will not touch, no matter what. You also want a savings account that is readily available when the time comes to make your large purchase. Our UNITY E-Gold Savings is our premium high interest savings that offers free online banking and quick and easy deposits through our mobile app. It does require a higher minimum to open. If that doesn’t work for you, our UNITY E-Style Savings is another great option that still offers free online banking for easy deposits. Once you have your dedicated savings account, set it and forget it! You can schedule transfers of small amounts to directly go into your account each week, which makes your savings automatic and easy to use. As a bonus, UNITY E-Style Savings is free when you have a monthly direct deposit. If you need to finance a portion of your purchase but know your credit score is low, it’s in your best interest to start rebuilding your credit. If your credit score is low (550 and below), try opening a secured Visa card. This allows you to put your own money down as collateral while still using credit wisely. Make one small purchase a month, and pay your balance off in full. If your credit score is in the 551-619 range, you could opt for store credit card. The same rules apply here: charge small and pay in full. If your credit score is higher than 620, you’re heading into the good credit score range, which starts at about 680. You could also apply for a store credit card just to boost your score a bit. When you see a big purchase in your future, start saving immediately. Determine how much you need and how long you have. Start setting aside funds in a high-yield savings account, and if necessary, start rebuilding your credit. Follow these 6 steps, and you’ll be able to afford your purchase in no time. Hi Manuel. You can learn more about our lending products here: https://www.oneunited.com/loans/.